We have so much work on the desk every day of the week. Wild horses and burros live in the midst of public land management. The range work, learning curves with court issues, roundups, rescue and all the rest often leave one feeling like this is a “battle” that will never be won. The victories are hardly recognized as the next challenge barges through the door. 1. In just weeks we will have the first humane handling policy in the history of the Wild Free Roaming Horses and Burros Act. BLM will be announcing a Comprehensive Animal Welfare Program (CAWP) that will be an official working document. There will be room for improvement, but it will be a document with ramifications for violation. Just five years ago this was simply a dream. Years of documenting, litigating and engaging… a real step forward. 2. In order to document conduct toward accountability we had another fight. 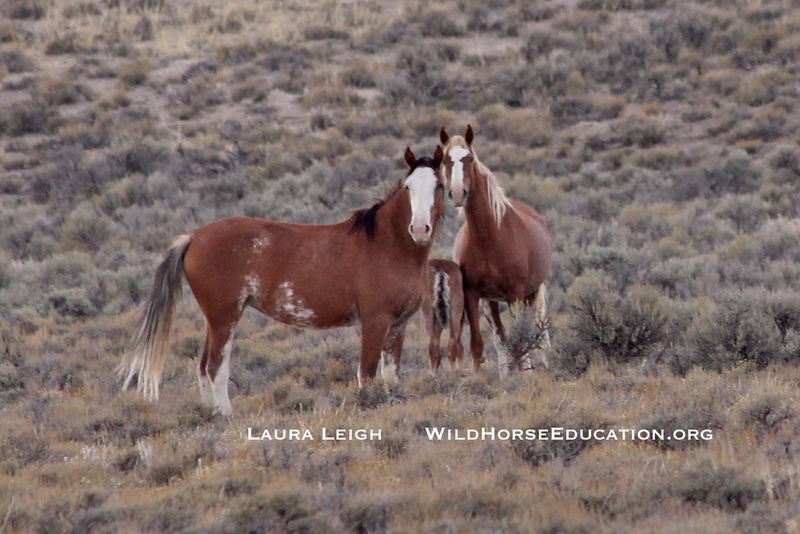 In 2010 we were blocked by rangers and the Sheriff from seeing even one day of wild horses captured. Today we can view every single day. Showing up on a daily basis, even if we were not permitted to go, following the rules no matter how absurd… and then taking this to court for 4 years and joined by 15 news media outlets in court… has created the beginning of observation that has as it’s intention an ability to assess every horse or burro on the day of capture… we’ve come a long way. 4. We are now seeing those that try to bully their way to policy control facing criminal charges. The charges that have come down in Utah are just the first…. even if the people being charged have been historic “power players.” Now that is progress. 5. The National Academy of Sciences (NAS) report has confirmed much of what advocates have been saying for years about a lack of data used to make decisions in the wild horse and burro program. The NAS recommendations will be out in just months and likely to open the door for land use plans to be amended! Land use plans are where things like the number of animals on the range can be changed. We must be ready. 6. Large scale removals are being recognized as unsustainable and alternatives are being sought. This opens the way to understanding of critical resource and free roaming behavior… this opens the door to concepts of forage allocations under a sound mathematical and scientific equation. This opens the door to only selective removal. This could be the beginning of seeing the intentions of the Act itself finally materialize in practice. 7. Removals are at the lowest rate since 1977. Tour being given to Velma Johnston, Wild Horse Annie, of the first capture of wild horses by the BLM. Velma died in 1977. This year roundups, for the first time since her death, are below those in 1977. 8. More and more of those that advocate for wild horses are taking the time to find out what a land use plan actually is and how the system actually works… and beginning to engage. 9. We have had huge media coverage in the last year from NBC, CBS, Travel Chanel and more… and it brought new advocates to the line. Many of those are from main stream America that IS starting to wake up to the fact that we have wild horses and burros and that they must be protected. 10. We personally want to thank all of those that have recognized and learned to respect our efforts as credible, tenacious and worth looking at. We know it was not easy to over come your preconceptions of who we are… we are looking for sanity… not more insanity. Now take a deep breath, roll up the sleeves… and dive back in. Don’t forget to recognize what we have now that we did not have… just five years ago.